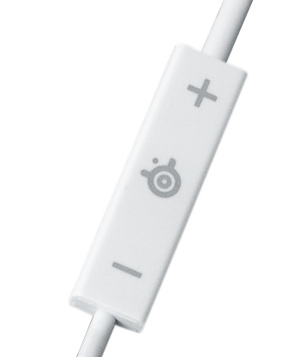 SteelSeries Siberia Neckband: An iOS-friendly headset that sounds as good as it looks. If you’re familiar with SteelSeries then you already know that the company makes some really incredible headphones and headsets. I’ve used a number of them over the years and I’ve been duly impressed by each of them. More often than not, there are a couple of things that nag me about each model, but they sound every bit as classy as their price points would lead you to believe. The Siberia series has been around for a bit, but it has always been pointed toward gamers. The latest version takes a mobile twist, and we think you’ll like it. The Siberia model was always a traditional headset with a few extras packed in for good measure. The Siberia Neckband for iOS, though, is geared directly toward your iOS device. With a behind-the-neck design (thus the “Neckband” name) and a microphone that retracts into the left ear cup, it’s made for high quality sound and then to be used as a headset when needed. Here’s the deal — The Siberia Neckband is dead comfortable. Its unique fit takes a bit of getting used to, but then you’ll quickly see why it’s great. First off, if you’re a hat wearer, it won’t get in your way. Second, the behind-the-neck fit seems to just work better for activity. It doesn’t tend to want to slip off of your head as a normal headphone does. Sound quality on the Siberia is amazing. Bass is well-defined and not muddy. Midrange frequencies are punchy and highs tend to be clear without being over-pronounced. My sole complaint, and I’ll get to why I think that this is done on purpose in a moment, is that the Siberia doesn’t get quite as loud as I’d like. Now, to explain why I think that the volume level is intentional — The Siberia Neckband is designed to be used with mobile devices. As such, it’s probably best if you can actually hear what’s around you if you’re out and about with your iPod or iPhone. A lower overall volume will help with this, as will the flow-through design of the ear cups. You can actually hear conversations and your surroundings. A novel concept. As for my only other complaint? The neckband works a bit too well. It could actually do for a bit of loosening as it tends to want to retract and thus pull the ear cups off of your head. I haven’t yet managed to make it fall off, but it almost always feels like it could. Inline controls will adjust the volume of your iOS device and a middle button can take or hang up a call, as well as pause music. The retractable microphone sounds better than should ever be allowed from such an inconspicuous device. The fact that it’s made specifically for iOS devices means that there’s no extra cabling or adapters. If you want those, you’ll want to take a look at the computer-centric model. So is it a buy or a pass? At $79.99 MSRP, it’s not exactly cheap. But if you want truly great sound quality and a thoughtful design, it’s going to be hard to beat what the Siberia Neckband for iOS has to offer. Are there cheaper options? You bet. Will they sound this good? Not a chance.